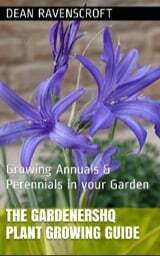 Welcome to the Growing plants genus index A-B section of the GardenersHQ website. Sand Verbena. Great plants for a rock garden. USDA hardiness zone: 7-10. New Zealand Bur. Southern Hemisphere plant grown for its bright leaves. Great in a rockery. USDA hardiness zone: 5-9. The common names for the Hardy perennial Arnica include Mountain snuff, Mountain tobacco, and Mountain Arnica. Begonia is a half hardy or hardy perennial that is normally treated as an half-hardy annual by gardeners.